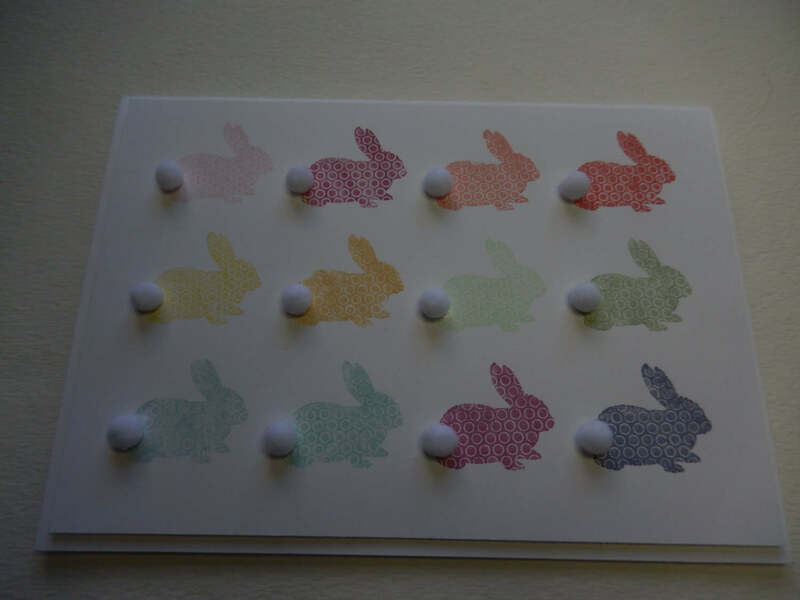 A unique Easter card that is appropriate for any age. 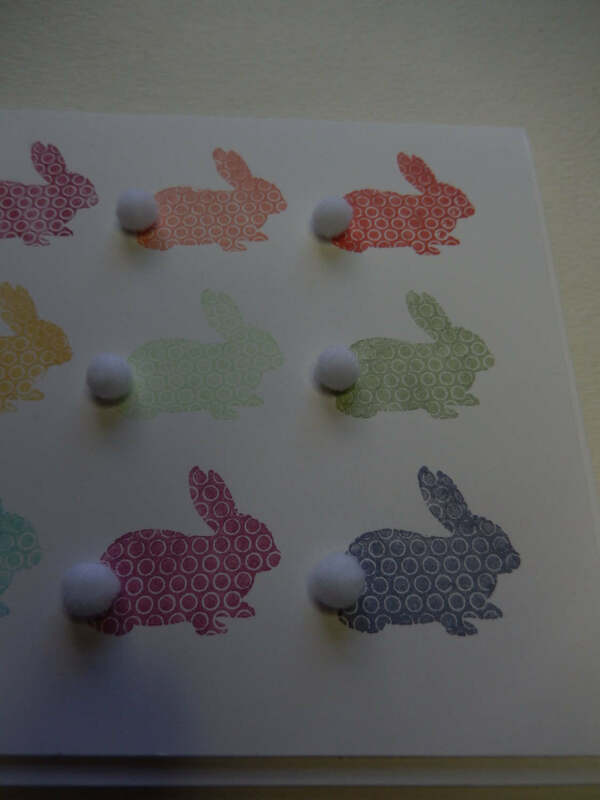 Twelve bunnies are stamped in a rainbow of colors, from light to dark on a white panel. White pom-poms are added to each bunny to resemble a "cottontail". 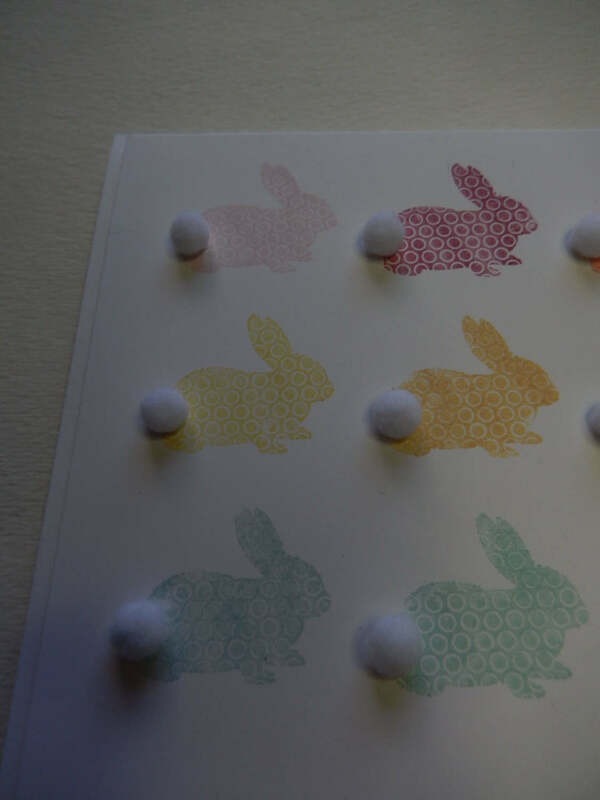 The white panel is adhered to the card base with pop dots for added dimension. 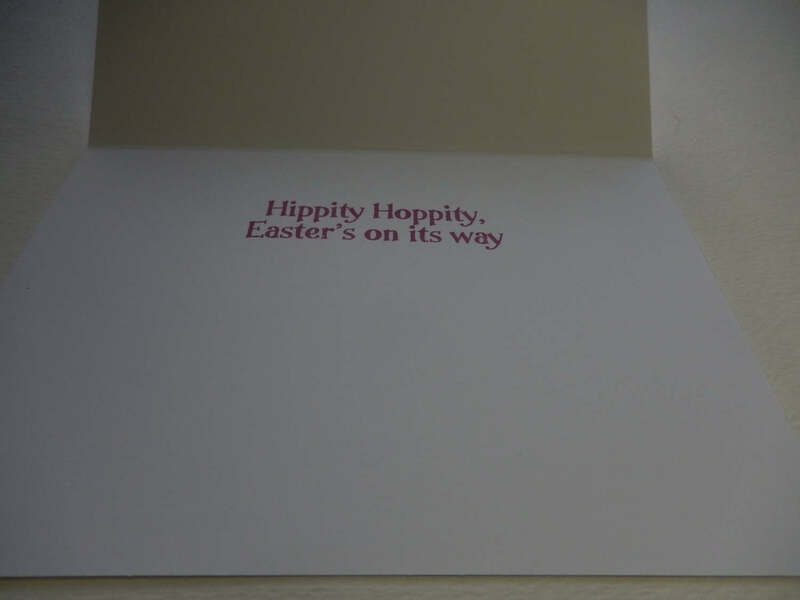 The inside of the card reads "Hippity Hoppity, Easter's on its way". The card measures 5" x 7" and comes with a white envelope. It is shipped in a cellophane envelope and comes from a smoke free environment.